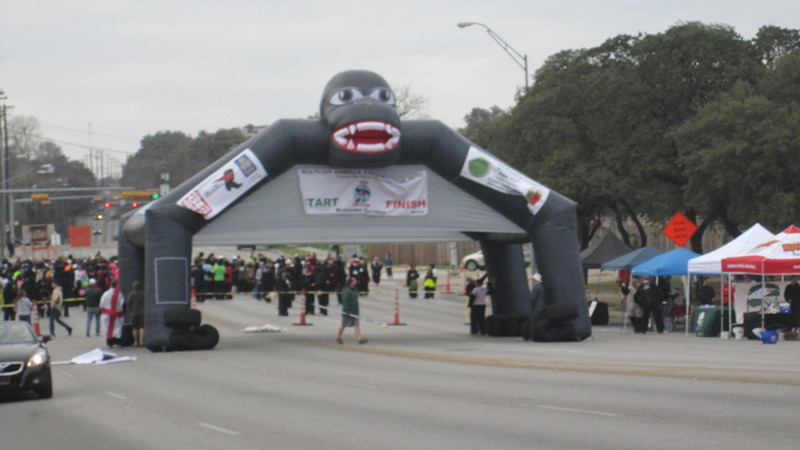 Winter time is road race season in Austin, Texas. The weather is cool and sunny, and it's actually quite a nice time to venture out for some long runs. I've run three races in Austin so far this year. Former Gazzanger Unji Udeshi was one of the organizers and race chairs for the Austin Gorilla Run, which was truly one of the most unique races I've ever experienced. 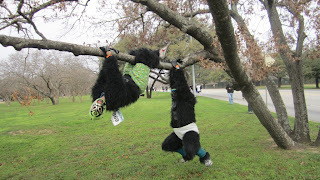 Proceeds from the race directly benefit Ugandans, Rwandans, and citizens of the Democratic Republic of Congo in veterinary educational training, with the end goal of protecting the highly endangered Mountain Gorillas in Africa. 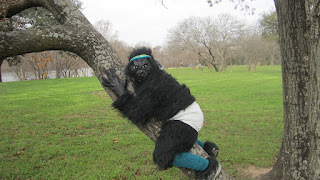 In 1987 there were only 248 mountain gorillas alive in the world, but through the veterinary and conservation efforts of the MGCF, the population has nearly tripled to 720. 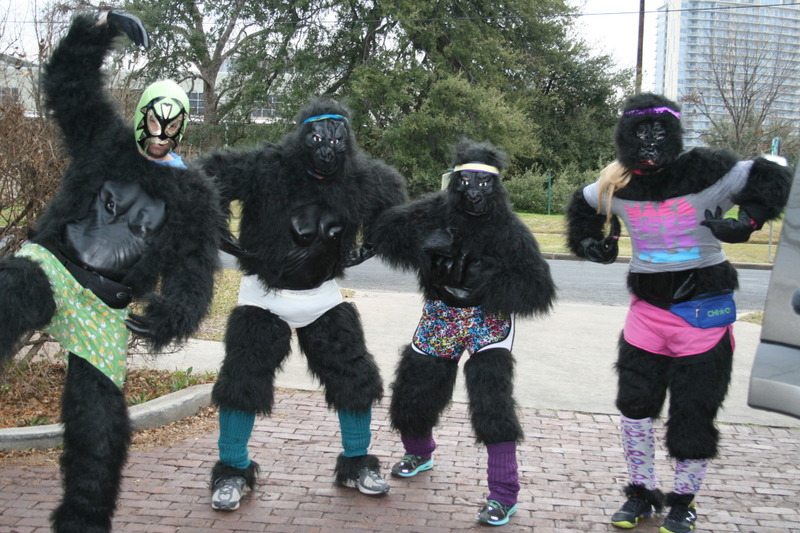 Over 1200 of us dressed up in full Gorilla suits to "run" a 5K (for a very loose definition of "run"). Mostly we just goofed off and had a really good time. Being the good gorillas were were, Larry (Gazzang CEO) and I took a break from the race to a little climbing. 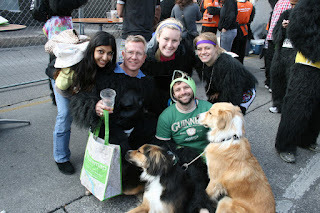 I brought my dogs, Tiger and Aggie, who were a little skittish of all the goofball gorillas at first! They're really well trained dogs, and are running up to 15 miles with me at a time now. Kim took a ton of awesome pictures. And our crew, unmasked and post race enjoying the Silverback Pale Ale from Austin's own Thirsty Planet Brewery... Unji, Larry Warnock, Liz Britain, Catelin Warnock, Dustin, Tiger, and Aggie! A few weeks later, I shucked the gorilla suit and ran Austin's 3M Half Marathon. This is quite simply my favorite race! This was my 4th running of the race. 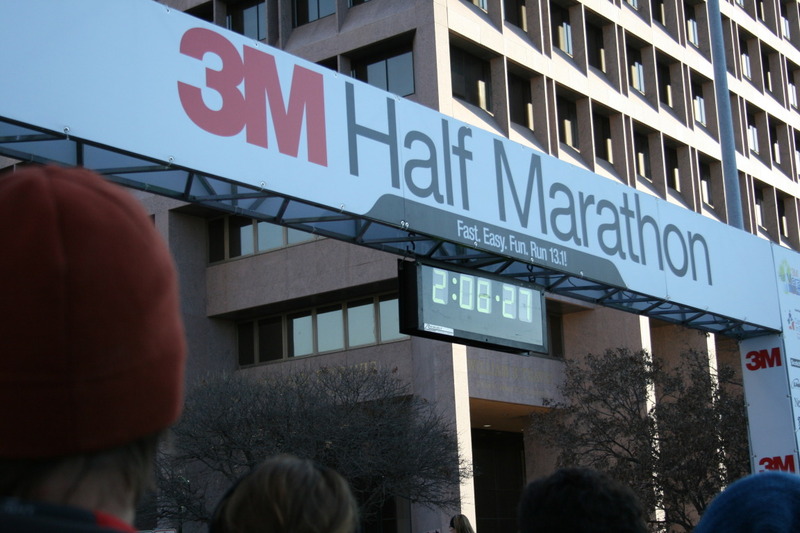 I think I actually first fell in love with running at the finish line of this race in 2004, which I finished in a blazing (for me, anyway) time of 1:48:14! 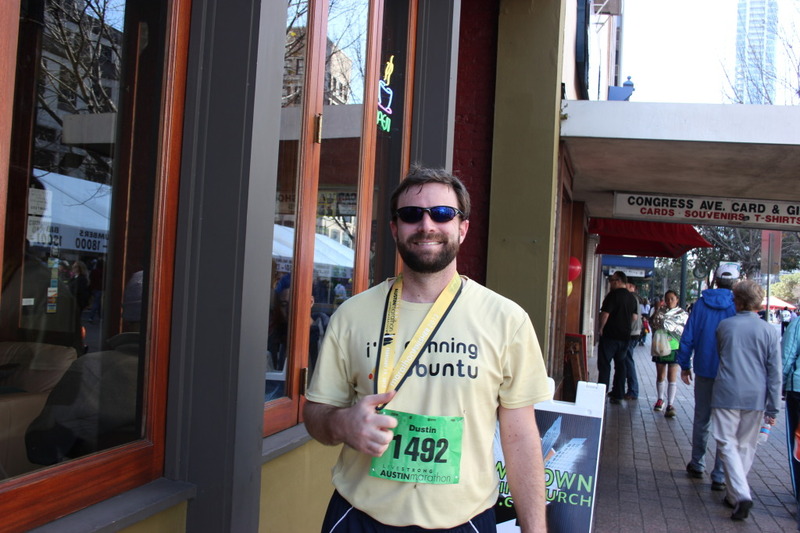 Well, I was a little shy of my personal best time, but I did finish in 1:59:07, which beat my goal of 2 hours. 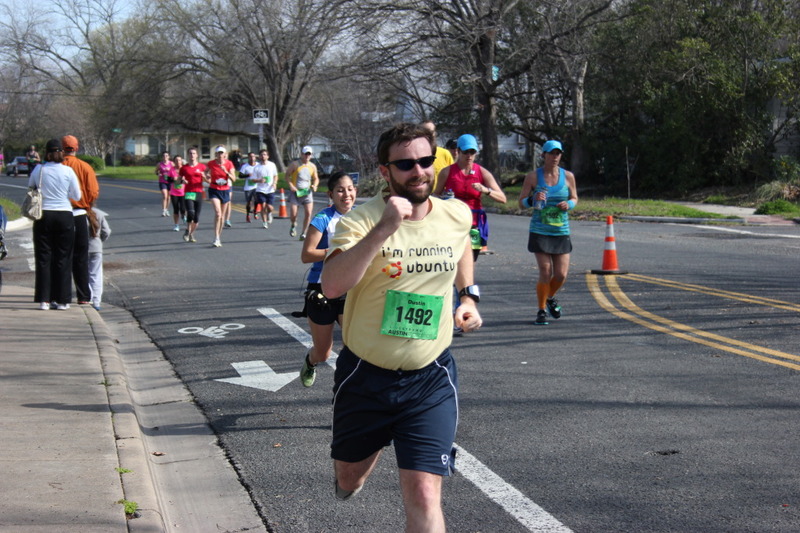 This past Sunday, I ran the Half Marathon portion of Austin's Livestrong race, benefiting Austin native Lance Armstrong's awesome cancer foundation. Another beautiful, perfect morning for a run! 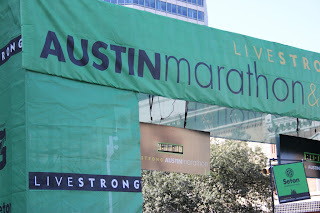 Now, originally, I registered for the full marathon, and had every intention on running it (would have been my 5th full marathon). I trained myself up to 15 miles, but I had a minor surgery in November and missed 8 weeks of training, and couldn't quite get myself up over the 20+ mile barrier in time. 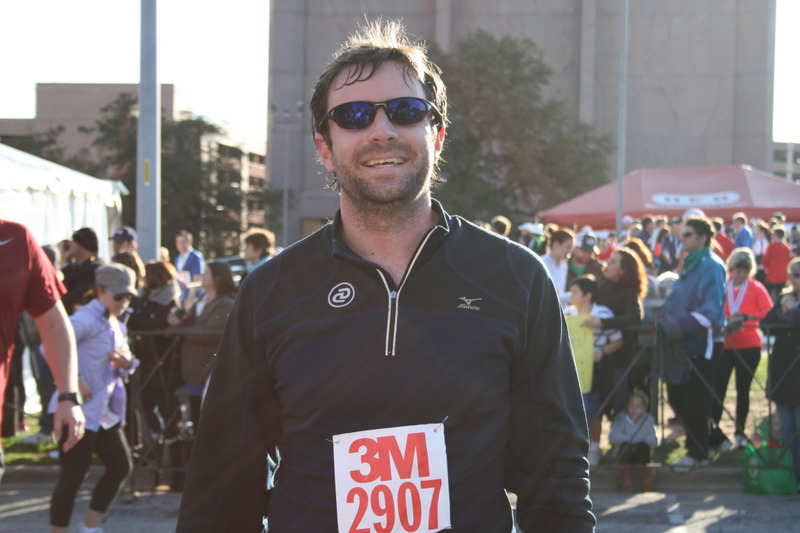 No matter, I'm planning on running the Marine Corps Marathon (again) in Washington DC in October as my penance. I beat my 3M time by 28 seconds, finishing in 1:58:39. 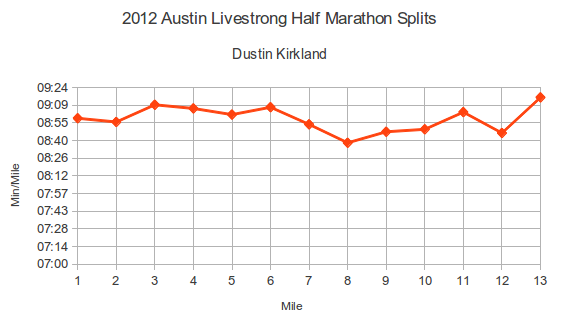 Interestingly, though, this time I did not run negative splits. 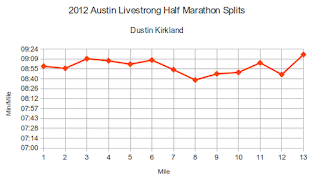 My splits were actually pretty flat, with my fastest mile (8:47) less than 30 seconds different from my slowest mile (9:16), which is fairly tight, compared to the 1m40s difference between my fastest and slowest mile in the 3M. 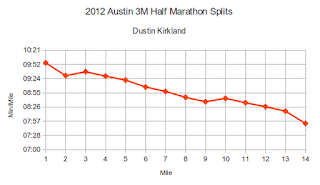 It's a different style of running, trying to bang out the same pace mile after mile, than the negative split approach. So what's the point of this post? Get out there and get some exercise! 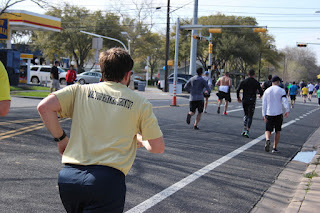 Support a charity and run a race or two! 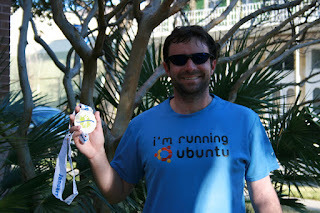 Support your own cause (Ubuntu/Linux for me) by wearing a shirt and showing some pride for something you believe in! I have interviewed hundreds of candidates and had the delight of hiring dozens of Linux and open source developers, engineers, and interns over the last 10 years -- at IBM, Canonical, and now Gazzang. The most recent one signed his contract this morning, in fact! It's quite a rush to bring new talent into a small team. 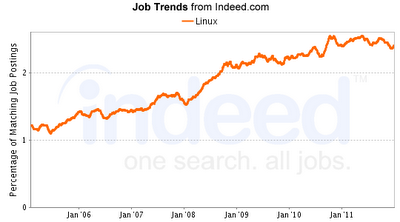 Linux jobs are actually hotter now than ever before! The Wall Street Journal picked this up recently. 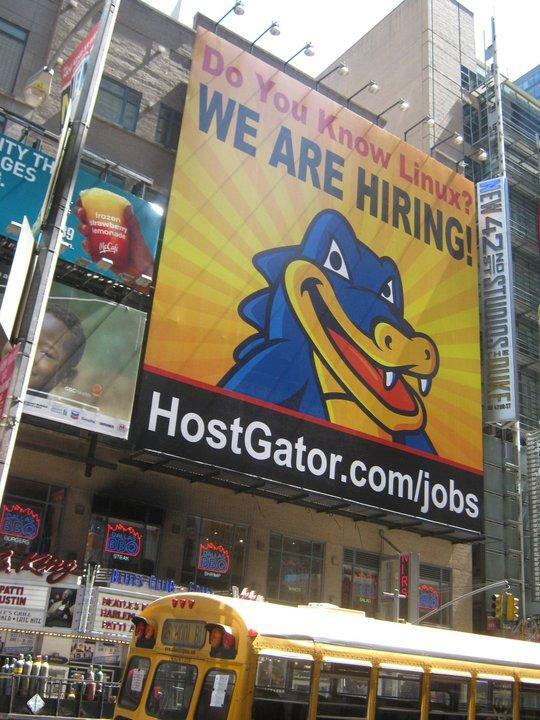 And while HostGator has been running giant billboards throughout Austin for at least 2 years now, which plainly asks, "Do you know Linux? We're hiring!" -- I was impressed to see that they had the same billboard scaled up to 3-stories in height right in Times Square, New York. Given that my own well being is so deeply invested in being an open source hacker, I selfishly love seeing the Linux and open source job market expanding so vibrantly. From the interviewer's chair, however, my poking and prodding of a given candidate's Linux skills have changed a bit over those 10 years. I'm often looking for the candidate's inquisitive nature. I want to know how interested they really are in going down the rabbit hole. 9 years ago, I wanted to see someone who regularly compiled their own upstream kernel, maybe tweaked a few configuration options on or off just for fun. Bonus points for each additional software package you compiled from source. 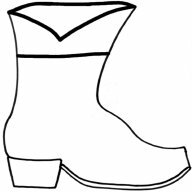 Gentoo users were shoe-ins. 8 years ago, I wanted to talk to people who were sending and receiving PGP or GPG signed, encrypted email. I was delighted by those who had at least 1024D keys! 7 years ago, I found users who were willing and able to tweak their SELinux policies and AppArmor profiles absolutely intriguing. If you were running SELinux in enforcing mode on a production system, well, damn, you probably got the job! 6 years ago, I wanted someone who had built their own Beowulf cluster, for fun, over the weekend. If not Beowulf, then some sort of cluster computing. Maybe Condor, or MPICH. 5 years ago, I'd structure some conversation around reinstalling dd-wrt or openwrt firmware on routers. What serious hackers would run stock router firmware?!? 4 years ago, I needed you to have experience with open source virtualization, such as KVM, Xen, and QEMU. Oh, and surely you're running MythTV on a few computers around the house, right? 3 years ago, it was all about developers who had Launchpad or Github accounts, had written some open source software and packaged it for Ubuntu or Fedora. While your friends update one other over Facebook, you're pushing updates over git and bzr. 2 years ago, I was interested in people who had built or deployed their own cloud infrastructure using Eucalyptus or OpenStack. And last year, it was all about the move from traditional configuration management to cloud-ready service orchestration; experience with Puppet/Chef/Juju were golden. But you need to be on the cusp of what's next. I'm hoping you've rooted your phone, jacked your bootloader, and installed a CyanogenMod of your choosing -- at least on your phone at least if not your tablet and e-Reader too! 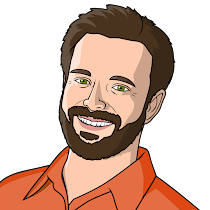 Hopefully you've tried out this big data business and threw together a map-reduce Hadoop job or two, just for grins. Clearly you'll have a strong, informed opinions on Unity vs. Gnome3, upstart vs. systemd, and the UEFI secure boot mess. 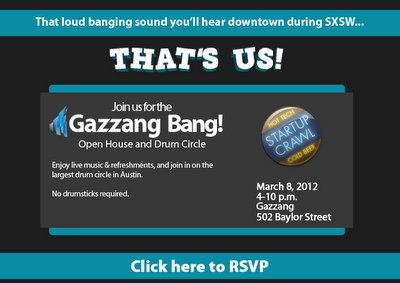 The Gazzang office at 502 Baylor Street in Austin, Texas is one of the destinations of the 2012 SXSW Startup Pub Crawl, on Thursday, March 8th. Join us between 4 and 10 pm for an open house, drum circle, and some awesome live music from the Lost Pines bluegrass band! Please RSVP here. Come talk to us over free beer and food about Cloud security, data privacy, encryption, eCryptfs, key management, Linux, and Ubuntu. Meet the entire cast of the Sh*t IT Security Guys Say short film. And tap into the vibrant tech start-up culture that's rocking downtown Austin by day, juxtaposed against the awesome live music culture that rocks downtown Austin by night. Come get your bang on! Bootmail now sends a message on both boot, and shutdown, using an upstart job. Big thanks to Clint Byrum for a bit of help on that one! Bootmail has always sent GPG-signed email. But now, it will actually send GPG-encrypted email too! All you need to do is set the RECIPIENT_KEYID variable in /etc/bootmail/gpg.conf to your GPG key id, and bootmail will send you GPG encrypted AND signed boot and shutdown messages! Actually, I have all of my EC2 instances set to install and use bootmail. With this, I get an email when I start, reboot, and shutdown an instance. I find it helps me remember what instances I have have running at any one time, by keeping the email in my Inbox (I practice Inbox Zero). 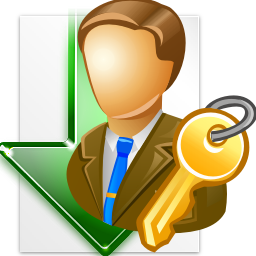 Moreover, I use cr-gpg with Gmail, so that I can read GPG encrypted email and verify GPG signatures within my Gmail web interface. Check out this post for more information on how to set that up! My Google Alerts and IRC highlights have been firing almost daily with references to ssh-import-id, a handy utility I co-authored with my buddy Scott Moser a couple of years ago. And now, I just share the hostname or IP with Eddie and Sergio and they can SSH into this machine and authenticate using their SSH keypair. Note that I've uploaded a couple of minor fixes to ssh-import-id in the last 2 weeks that more accurately validates the contents of the public keys retrieved from Launchpad (thanks, Soren for one of those). You can always grab the latest version from ppa:launchpad/ssh-import-id, though perhaps I should SRU some of these changes to Lucid/Natty/Oneiric. 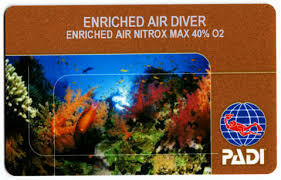 Anyone willing to test and validate those SRUs, if I propose and upload them?